It’s no secret that I love Drago Centro. It’s great Italian food, fabulous cocktails and home of the all day and night happy hour. It’s pretty much my second home, if not my office. For the past three launches, I’ve done what I call my office hours on launch night. Instead of the usual $12 a cocktail, they’re only $8. 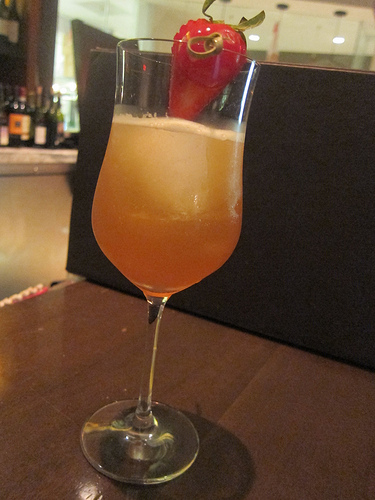 While I loved the Spring (and Winter) cocktails from bar manager Jaymee Mandeville, I was ready for summer. 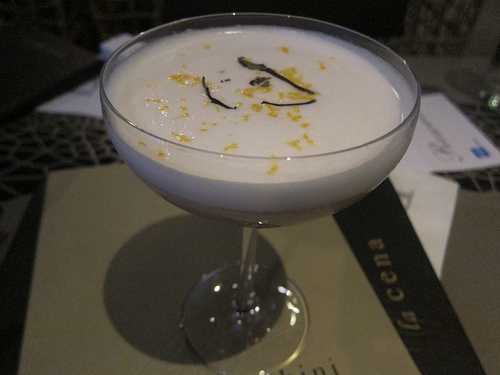 Last week, I tried my hardest to get through the list of 9 new cocktails but managed to taste 6. I’ll have to go back for the whiskey cocktails. 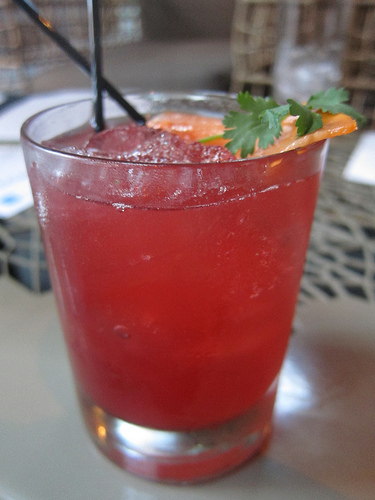 I started off with the Modern Botanist as I love St. George Gins. 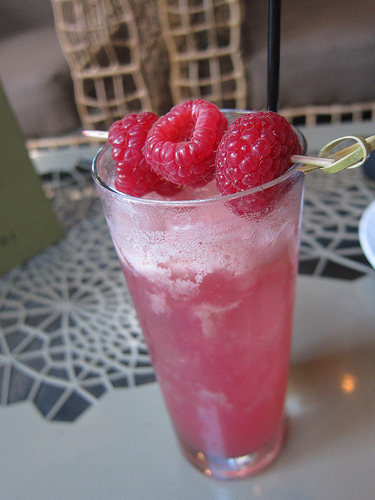 The Modern Botanist (St. George Botanivore Gin, Byrrh, Lemon, Mint, Raspberry White Pepper Soda) was as expected very refreshing and perfect for the patio where I was holding my office hours. 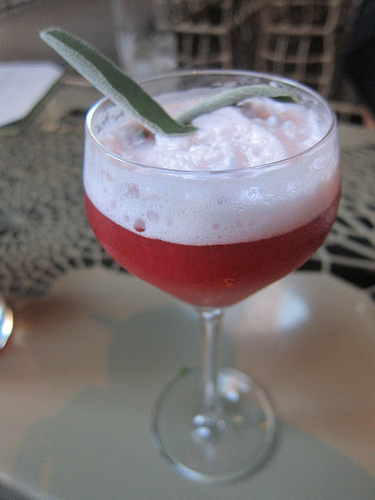 I was thinking of the Twist and Shout (Casa Noble Reposado, Hibiscus Lavender Tea, Lime, Agave, Hellfire Bitters, Mexican Papaya, Cilantro) next but ended up getting Down the Rabbit Hole (Novo Fogo Cachaca, Dimmi, Poppy Seed Ginger Syrup, Blackberries, Kiwi, Lime, Sage, Parfait Amour Foam) next. My friend had the Twist and Shout and I would say it’s more for an advance drinker (aka me). She much preferred her next drink, the Summer Dalliance. The Down the Rabbit Hole is also a wonderful summer cocktail. I loved the sage leaves that were propped up to look like bunny ears. Although one of mine fell, it actually reminded me of what bunny ears can do- flop around! 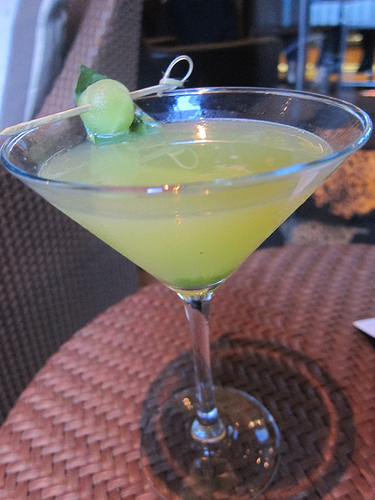 Vodka and celery lovers will enjoy the Freshly Cut (Karlsson’s Vodka, Celery Juice, Lime Juice, Honeydew, Lime, Cucumber, Basil, Yuzu Bitters, Miracle Mile Candy Cap Mushroom Bitters). Jaymee usually has a version of a Bloody Mary (usually without tomato!) on her lists and this is it. With all those green elements, you can think of this as a detox cocktail. Well, except for the vodka in it. But still, it’s really a great “spa” cocktail. 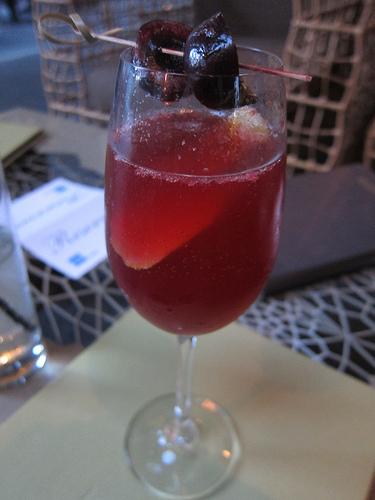 As mentioned, the Summer Dalliance (Nolet’s Gin, St. George Absinthe, Lemon, Crème De Violette, Bing Cherries, Prosecco) made quite the impression. The fruity gin played well with the St. George absinthe. It was subtle and I suspect the most dangerous cocktail on the list. Bubbles, gin and absinthe, look out! My final drink this night was the White Picket Fence (Laird’s Apple Brandy, Peach Puree, Schizandra White Tea, Lemon, Egg White, Miracle Mile Forbidden Bitters). I loved Jaymee’s light prosecco cocktail, Shotgun Wedding the last season and thought this was the natural progression. I joked with her I expected to see 2.5 Kids and a Dog on the Fall list in a few months. Although I picture the American Cherub above, I didn’t actually taste it. I snapped this pic from a then stranger (hey, I made a friend at the bar). He said he liked it very much. I will try it the next time I’m in since I love bourbon. And I’m curious about Jaymee’s strawberry shrub. I also would like to try the Don’t Be Square with grappa and Templeton rye as well as the Jet Setter. I didn’t ask Jaymee about the Jet Setter other than what Fair Cafe (coffee liqueur) is but it makes me think of Mike Prasad of the next MXLGY who is quite the traveler and loves Licor 43. Did I say I went last week? It’s time to check out my home, er, office, er, you know, Drago Centro. This entry was posted in alcohol education, alcohol tasting, bar stalker, bar stories, bars, bartenders, cocktails, happy hour, hot bartenders, la, la cocktails, los angeles, spirits, the minty and tagged all night happy hour, bar, cocktails, drago centro, dtla, hot bartenders, italian, jaymee mandeville, la, los angeles, mike prasad, mxlgy, patio drinking, shrub, spirits, summer, summer cocktails, the minty. Bookmark the permalink.